Volunteer – Volunteers shop the earliest presales! Pick your shift here. First Time Parents – We created this special presale to bless you as you begin this new life adventure. This presale is open to parents and grandparents that are expecting / adopting their first child or who’s oldest child is still less than a year old. Register for access here. Early Access Shopping – If you don't qualify for a specialty presale but want to shop before we open for general admission you can! You can purchase a ticket for PrimeTime or Deluxe Early Access presales. Limited number of tickets available here. *Note - no children under 10, no strollers or wagons allowed at presales; infants worn in a front carrier are allowed. FREE Pass for General Admission Opening Day – There is a $2 admission charge for our first general sale day but you can get in FREE if you get the free pass here. Volunteers shop FIRST! The more you help, the earlier you shop! Increase your consignor percentage to 70%! You make a difference! Get that warm-fuzzy feeling from helping at an event that benefits so many local families :). He works, you shop – it’s all for the kids right ;). 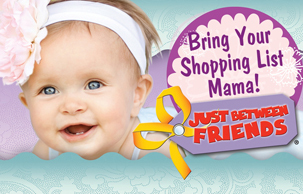 We are so thankful for our awesome JBF BFF’s – they are the heart and soul of this event! 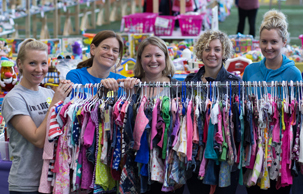 Become a JBF BFF today – register to volunteer here! - New babies need the most - here's a great list to help you decide what's essential versus nice-to-have. - For growing kids, cut a piece of string or curling ribbon the same length as your child's legs from ankle to waist. Bring it with you to the sale to be confident that they'll fit those super cute pants on the rack! - For bigger kids, trace their feet on paper and cut them out to easily know if shoes will fit. - Write out a shopping list of the items your children will need for the next 6 months: think about school, summer, holidays, sports and vacations. Does your business market to local moms, expecting moms and families? Then you want to participate in our event! We accept a limited number of vendors at each event and give them access to the thousands of local families that shop our event. Our limited number of vendor spaces are available first to returning vendors and are then offerered on a first-come, first-reserved basis to new vendors.